You are here: Home / What is Probate & Process in Santa Clara County? / How Long Does Probate Take In California? 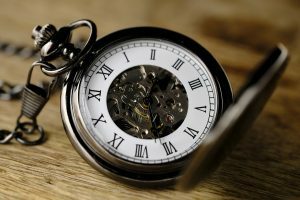 What is the Probate Time Frame in California? The answer to the time frame for probate in California depends on several factors. Every probate estate is unique to the estate, the person administering the estate, and the county in which the probate gets filed. Probate is a legal process that gets managed in the Superior Court in the county where the person passes away. The State of California continues to face budget cuts which impact the time to complete formal probate. In Santa Clara County, all probate filings must get filed electronically. It can take up to 10 days, or longer, to receive filed documents back from the court. The hearing date could be 2.5 to 3 months from the time a petition is filed. There are local court rules and procedures that must get followed. The probate timeline illustrates how long it could take to probate an estate in California. There are many factors that can influence the time it could take to complete formal probate. Are the beneficiaries and heirs cooperative? Contested Wills? It’s fair to say anytime there are disputes it will take more time to resolve the disputes and more time to get a court date for hearings to resolve disputes. Is the executor named in the Will willing to manage the estate’s assets? Does the personal representative have immediate access to the deceased person’s bank account? Are there issues with social security? Does the estate have State of federal tax liabilities? Is the estate administered under the Independent Administration of Estates Act? This allows the estate to get managed without the need to get the court’s permission and approval. Did the person die without a Will? Is a bond required? It takes time for the personal representative to file a bond. Are the beneficiaries and heirs identified and located? Is there real property to sell? If so, with full authority, the personal representative can sell real property without court approval. The attorney mails the notice of proposed action to all parties. If there are no objections or if notice gets waived, they can sell the property in 30 days or fewer. Even if there are no disputes and all goes well, there is no way to expedite the formal probate process. There are procedures and timelines that must get followed. For example, they must give proper notices, and the time to file creditor claims must lapse. If you are a personal representative managing formal probate proceeding the probate process will take less time if all duties get completed before they are due. Most people managing the estate are doing something for the first time and are overwhelmed with their duties. They may live out of state or the area which creates its own challenges. Some courts only hear probate cases on specified days of the week. If a hearing date needs to get rescheduled for any reason, it will add more time to complete the process. 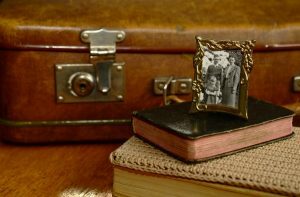 Is Probate Required With Small Estates? If the value of the deceased person’s real property and personal property is less than $150,000, the person representing the estate can avoid the process formal probate with an estates affidavit, known as a California Small Estate Probate Affidavit. Procedures and timelines must get followed when transferring property with an estates affidavit. While it can take six months or longer to complete the process, it can save time and money. If you need legal advice and need to speak with an attorney regarding a California probate we are happy to make a recommendation. Personal representatives managing the estate of a deceased person, we are here to help you with real estate related matters. We specialize in selling homes in probate, held in trust, or conservatorship. We work with personal representatives managing the estate and work closely with the probate attorney during the sales process.